UP TO 70 firefighters have been working round the clock attending gorse, forest and wildland fires over the past two days in Co Wicklow, as the country still feels the effects of the current heatwave. In the past few days, the Wicklow County Fire Service has attended 42 such fires, the most serious of which were on the Military Road near Sally Gap which was still closed to traffic this morning, at Lough Bray, at Rocky Valley in Kilmacanogue and at Windgates in Greystones. Ahead of another hot, sunny weekend, Wicklow’s chief fire officer Aidan Dempsey has advised not to light fires and only use barbecues in designated areas while the current weather conditions persist. Assistance to tackle the blazes this week has been provided from a number of state agencies, including helicopters from the Air Corps and Coillte attending a number of incidents. The fire service has also coordinated with the National Parks and Wildlife service, while Civil Defence volunteers and fire service officers are patrolling at risk areas constantly and reporting back. Drones are also set to be deployed this weekend to provide an “invaluable overview” of difficult locations. The Defence Forces are also on standby to respond if emergency services are stretched due to the fires. Email “Wicklow's fire service has fought 42 gorse fires in the last two days”. 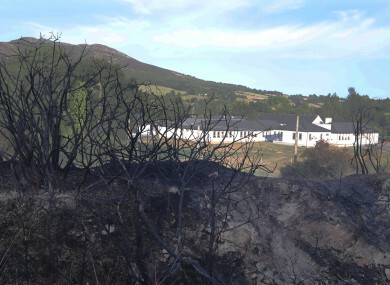 Feedback on “Wicklow's fire service has fought 42 gorse fires in the last two days”.